The Drive Titan Powerchair was developed to be easily transportable. This extremely compact and highly manoeuvrable unit is ideal for use indoors and within busy environments such as shopping centres etc. The height adjustable seat and footplate ensures maximum user comfort for most users, adjusting to individual user requirements helping to get a perfect seating position. With its moulded polyurethane flip up armrests that are width and angle adjustable aiding with user comfort. For exceptional security the electronics have been tried and tested to industry standards and is fitted with a safety lap belt. 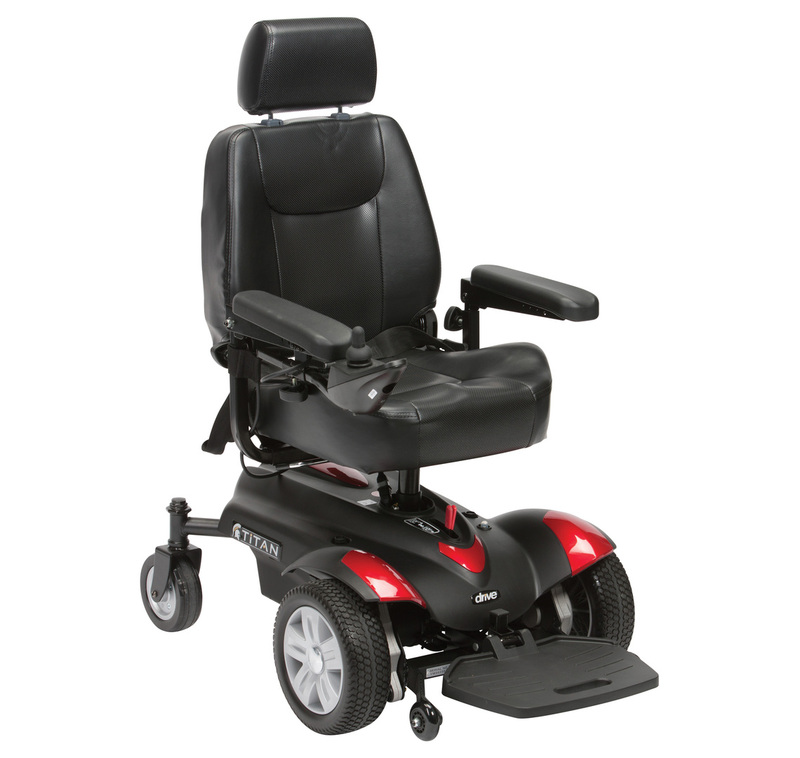 When fully charged this Powerchair has a maximum speed of 4 mph and a maximum range of up to 8 miles. Designed with an easy to remove battery pack the Titan has on and off board charging facilities. For easy storage and transportation the Drive Titan Powerchair splits into 4 extremely compact, lightweight parts. This is the Red version, a Blue model is also available in this section of the website.